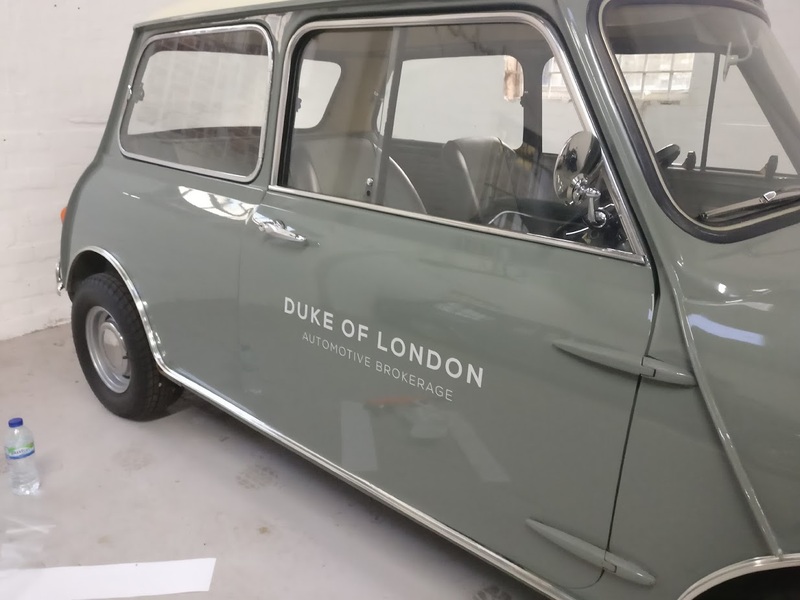 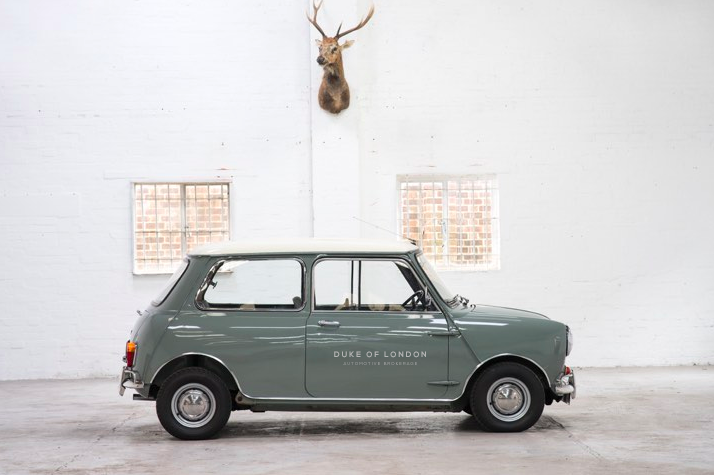 Fun job this week on these classic restored Minis at Duke of London. 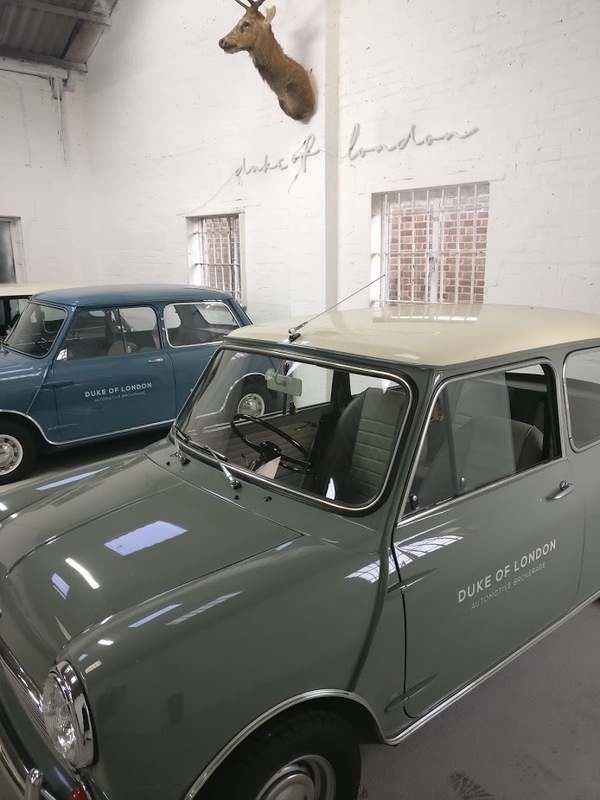 Design, print and installation within a day using a smart typeface and matt grey vinyl for a vintage effect. 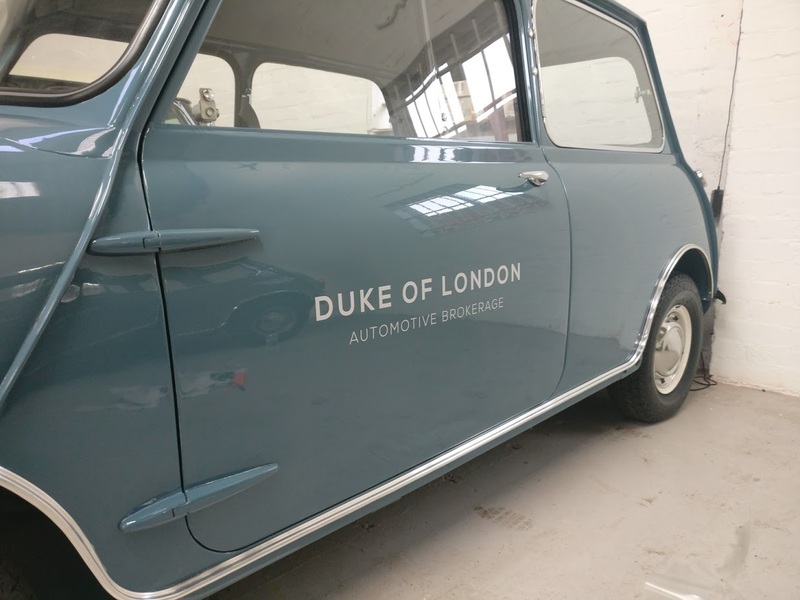 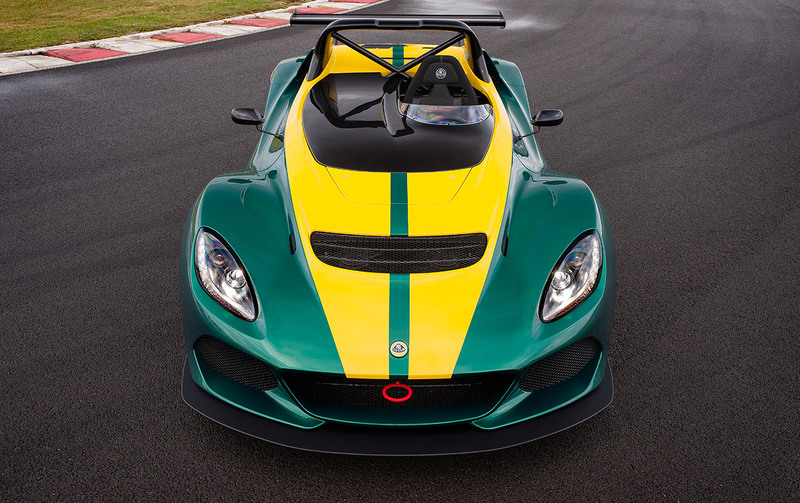 Call us on 0203 167 0400 for all vehicle graphics, signwriting and decals.